Silversea’s intimate ships were designed for those who delight in the thrill of discovery while indulging mind and body in the most lavish surroundings imaginable. With just a few hundred guests, the ambience is casual and relaxing. Open bars and open-seating restaurants encourage socializing with an international crowd of fellow travelers. Silversea’s ships can glide into small, secluded harbours not yet on the radar ~ or transport you on an expedition to some of the most remote regions of the globe. In the evening, enjoy gracious hospitality, epicurean cuisine and friendly camaraderie in the lounges and open bars. Then retreat to the lavish amenities of your private sanctuary at sea. Silversea’s fleet consists of 5 ultra-elegant ships ranging in capacity from 296 to 596 guests - Silver Wind, Silver Shadow, Silver Whisper, Silver Spirit, Silver Muse - and 4 expedition ships specifically designed for navigating waters in more remote regions - Silver Explorer, Silver Galapagos, Silver Discoverer and the newly renovated ice-class Silver Cloud Expedition. Silversea's new super-elegant flagship Silver Muse debuted in 2017, and Silversea will partner once again with Fincantieri for the construction of yet another luxury ship - Silver Moon - expected for Autumn 2020. Silver Moon will echo the innovative design of Silver Muse with a few additional enhancements. With 4 all-suite ships - Seven Seas Voyager, Seven Seas Mariner, Seven Seas Navigator and Seven Seas Explorer - catering to 490 to 700 guests, Regent Seven Seas Cruises’ staff-to-guest ratio ensures the absolute highest level of personal service. Specialty restaurants allow you to dine wherever, whenever and with whomever you choose, at no additional charge. Delicious entrées are paired with complimentary wines and spirits. Shore excursions are at the heart of every destination, and only Regent Seven Seas Cruises offers FREE UNLIMITED SHORE EXCURSIONS in every port-of-call. This is cruising as it was meant to be with EVERYTHING included, without exception and without compromise. Launching in February 2020, an exceptional 5th ship - Seven Seas Splendor - will set a new standard in luxury by striving for the ultimate achievement – perfection – and will be the best way to travel to the world’s most beautiful destinations. 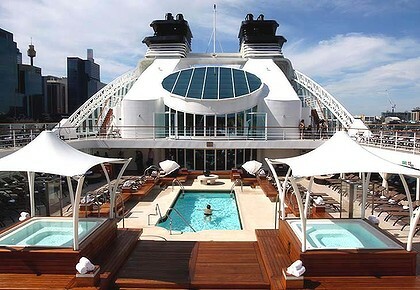 Oceania’s elegant mid-sized ships - the celebrated Regatta, Nautica and Insignia - cater to 684 pampered guests. Cruise itineraries are exceptionally port-intensive with overnight stays and late evening departures allowing guests to experience each destination to its fullest. Country club-casual, life onboard enriches mind, body and spirit with musical entertainment and Canyon Ranch Spa facilities and services. Oceania boasts the “finest cuisine at sea” served in a variety of open-seating restaurants at no extra charge. With the genius of legendary Master Chef Jacques Pépin as Executive Culinary Director, Oceania is known for its immensely talented chefs who masterfully create cuisine worthy of rave reviews. 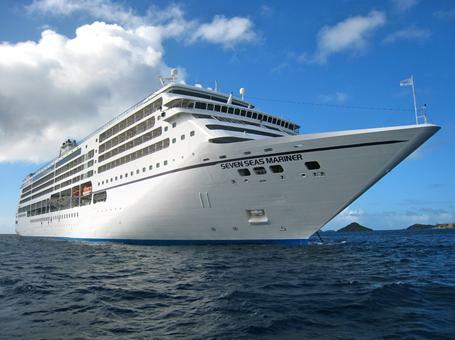 Oceania’s points of distinction are what makes Oceania the best value in upscale cruising. A Seabourn ship is like a private club ~ where members share expansive open decks, inviting social spaces, and the personalized attention of an exceptional crew. With a 5th on the way* Seabourn boasts 4 all-suite intimate ships: Seabourn Quest, Seabourn Sojourn and Seabourn Odyssey - the largest of which accommodates no more than 450 guests in 225 luxury suites; and the new Seabourn Encore who made her inaugural voyage from Singapore in January 2017, accommodating 600 guests in 300 luxurious suites. 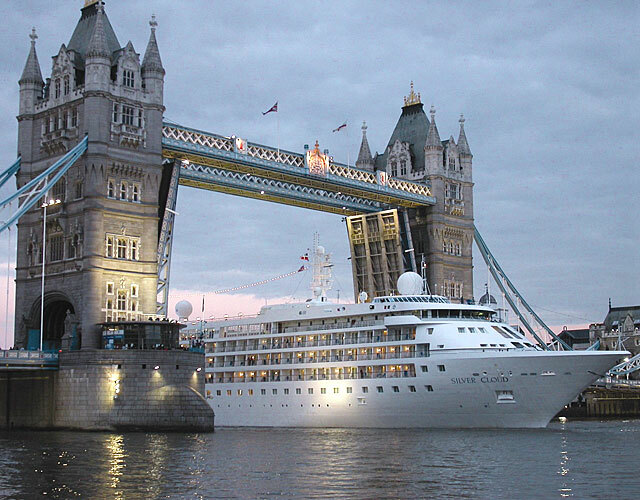 The large yacht-like size enables the ships of Seabourn to enter smaller ports where larger ships cannot go. Seabourn features expansive and unique itineraries enabling you to visit must-see cities and picturesque hideaways. The hallmarks of cruising with Seabourn are felt from your very first moment on board, when you’re greeted with a warm smile and chilled glass of Champagne. An in-suite bar fully stocked with your preferences awaits you. Gourmet dining rivals the finest restaurants anywhere. Dine when and where and with whom you wish. Complimentary service of fine wines and spirits throughout the ship contributes to a convivial atmosphere. Large whirlpool spas grace the sun deck, and a beautiful stretch of beach invites deployment of your ship’s unique fold-out watersports Marina. These are just a few of the attributes which make up The Seabourn Difference. * In 2018, Seabourn has introduced Seabourn Ovation, a sister-ship to the already prestigious Seabourn Encore. 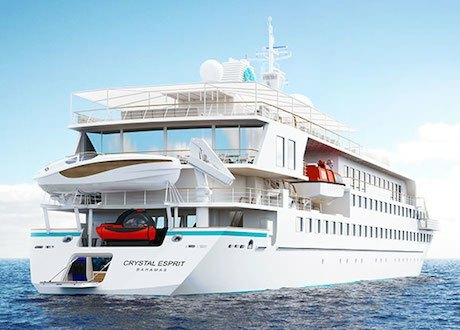 Introducing Crystal Esprit® - the world’s newest, most luxurious all-inclusive super-yacht, who debuted in the verdant Seychelles Islands in December 2015. Discover The Crystal Experience® in a far more intimate setting with 62 (only) other intrepid global travelers. The vessel is an extravagantly appointed yacht, extensively redesigned to reflect the stylish elegance for which Crystal is renowned. The all-suite yacht will offer intimate, exclusive, and immersive experiences with a boutique ambiance, and will feature posh, high-end finishes and modern technology. The Esprit is outfitted with some decidedly extreme features - like a two-passenger submarine, four 10-passenger zodiacs for special excursions and a 12-passenger 32-foot super yacht tender for special boating adventures. Additionally, at your fingertips are water skis, wake boards, kayaks, jet skis, fishing, and snorkel equipment. Imagine spending a week on a private luxury yacht. Small is beautiful! Windstar’s unique small luxury sailing yachts are exactly the right size – large enough to pamper and entertain you, yet small enough to tuck into the tiny harbors and hidden coves inaccessible to larger vessels. An incredible value and with only 148 to 310 guests sailing with you, you can rub shoulders with the glitterati in Monte Carlo, dive among coral reefs in Tahiti, nestle into Capri’s picturesque port, mingle with yachtsmen in their favorite spots, and make a wish with a floating lantern in Hoi An. Dining is prepared by a premier chef and served in intimate, impeccable style with a superb collection of fine wines. Windstar has now doubled the size of its fleet from three sailing yachts to six ships consisting of three new power yachts: Star Pride, Star Breeze and Star Legend - after multi-million dollar refurbishments. 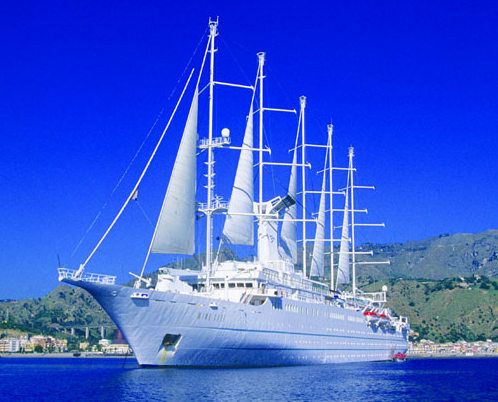 Windstar has been named #1 World’s Best Small Ship Cruise Line by Condé Nast Traveler (Readers’ Choice Awards). SeaDream a.k.a. SeaDream Yacht Club = Pure Bliss. With only a maximum of 112 guests (56 couples) pampered by an award-winning crew of 95, prepare to be splendidly spoiled. Named #1 Boutique Cruise Ship by Berlitz Cruise Guide to Cruising & Cruise Ships and The Best Small Luxury Cruise Ship by ForbesLife magazine, the mega-yachts SeaDream I and SeaDream II have brought luxury cruising to a new level. The motto “It’s yachting, not cruising” comes to life. From the moment you are welcomed aboard by the Captain, it feels as if you are being welcomed onto your own private luxury yacht. 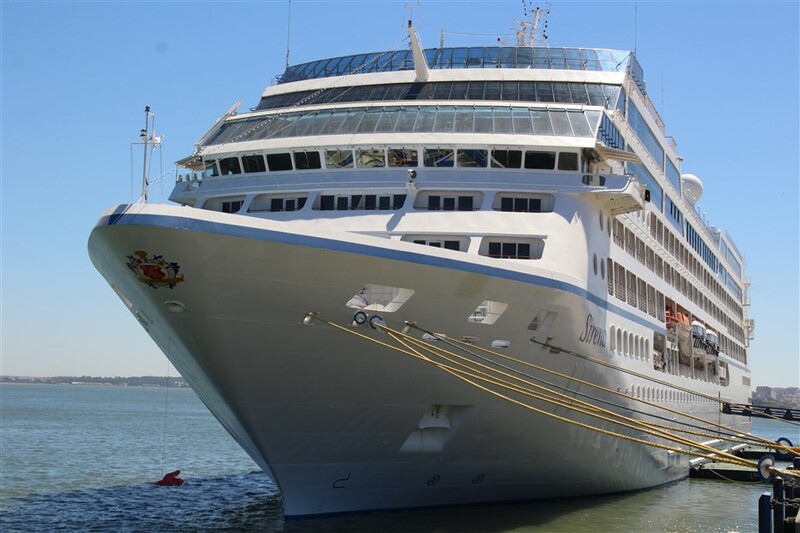 Your inclusive SeaDream voyage includes ocean view accommodations, gourmet meals served in the Dining Salon or Al Fresco at the Outdoor Topside Restaurant, 24 hour room service from the “Small Bites” menu, Open Bar with selected premium brands, wine with lunch and dinner, and gratuities. Two more things make these intimate twin ships exceptional: the all-teak deck that features numerous Balinese sun beds and the aft retractable marina offering glass-bottom kayaks, banana boats, snorkel equipment and sailboats. You can even go water-skiing or ride a Jet Ski. Being that this is a cozy yacht, Belgian linens, down duvets, wool blankets, and Bvlgari bath products are the focus. Guests always get a kick out of the monogrammed pajamas laid out in their stateroom upon arrival, and if you've got the nerve, wear them when you enjoy an evening "sleeping under the stars" on the Balinese beds on Deck 6. 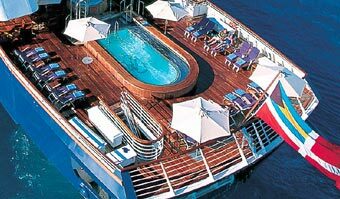 The SeaDream ships sail primarily the Caribbean and Mediterranean. In 2019, Wine Voyages will bring a heightened experience to your yachting vacation. SeaDream is featuring Winemaker’s Dinners, Master Classes with internationally reputed experts, informal tastings, and visits to beautiful, carefully selected wineries throughout the Mediterranean regions. With French crew, expertise, attentive service and gastronomy, set sail in a five-star environment and enjoy a travel experience that is simultaneously authentic and sophisticated. On board luxurious yachts built on an intimate scale, Ponant has designed unique itineraries that will transport you to new destinations all over the globe: mooring in the heart of the Mediterranean's hidden bays, sailing between the majestic glaciers of Antarctica, cruising expedition-style to remote areas of Alaska, or hopping islands in the Caribbean. As the only French cruise company, Ponant is an ambassador of the “French Touch” around the world. With French crew, discreet service and refined cuisine, Ponant embodies a unique cruising philosophy. The French Touch also means a way of living in which excellent gastronomy takes pride of place. Every day, you will discover fragrant flavors, carefully selected cheeses and wines, and delicious specialty breads and pastries from Maison Lenôtre. And, Maison Taillevent now provides its fine selection of vintage wines by the glass, Maison Veuve Clicquot champagne is served at our gala cocktail parties, and delicious sweets from the Ladurée bakery are on offer during afternoon tea time. Finally, the French Touch is also evident in our choice of partners, whose expertise and passion for their work is in line with our own quest for excellence: interior design by Jean Philippe Nuel, fabrics by Pierre Frey, delicate flavours from Le Palais des Thés, Hermès bath products in all cabins and suites, spa care products by Sothy’s, and signature perfumes from Fragonard. 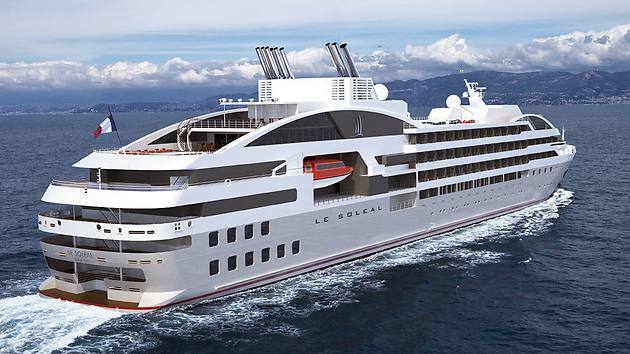 Ponant's fleet consists of 7 mega-yachts: sisterships L'Austral, Le Boréal, Le Lyrial and Le Soléal - each with 122 to 132 cabins and suites; Le Champlain and Le Laperouse, boasting 92 cabins and suites; and Ponant's flagship sailing yacht, Le Ponant.